If you are ready to replace or install new gutters on your home in Bernalillo, New Mexico, or a surrounding area, turn to ABC Seamless of Albuquerque. We have proudly assisted homeowners in the area since 1989 by offering beautiful, seamless gutters that, when paired with a gutter guard, will completely eliminate the need for maintenance and unclogging from your schedule. Additionally, our gutter system can also allow for rainwater to properly drain out of your gutters and onto the ground below. Improper flow of rainfall can lead to rooting of the wood in your roofing underlayment, which can result in extensive damage and expensive repairs. 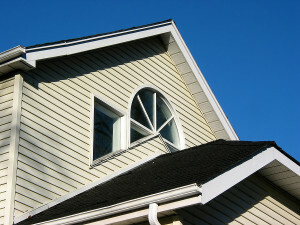 However, when you utilize our impressive gutter products, this will no longer be something you need to worry about. For more information about the incredible seamless gutters that we install, or any other products that we offer to homeowners in Bernalillo, NM, or a surrounding area, contact ABC Seamless of Albuquerque today. A knowledgeable member of our team will happily answer any questions you may have about our products.